Today it was the day that every PhD student waits for: thesis submission day. 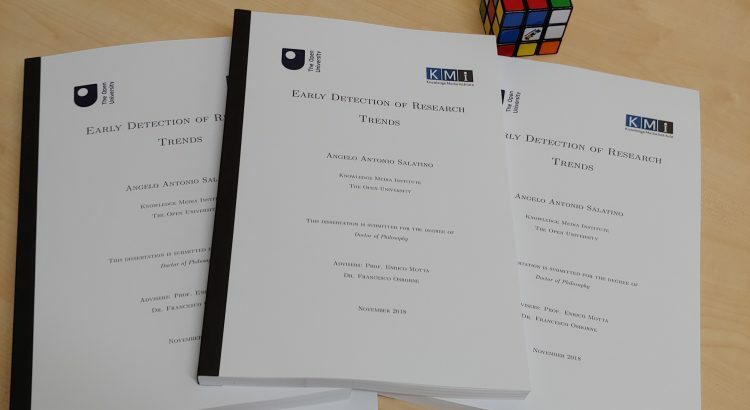 I finally managed to make all the corrections suggested by my supervisors and after printing it, I went to the Research Degrees Office to leave my copies. Now I feel like something is missing but life goes on. I am already working as Research Assistant, here at the KMi, facing new challenges and always eager to learn new stuff. Looking forward to the defence.